San Diego Dem Now Only -3 Against Indicted GOP Rep - Joe.My.God. 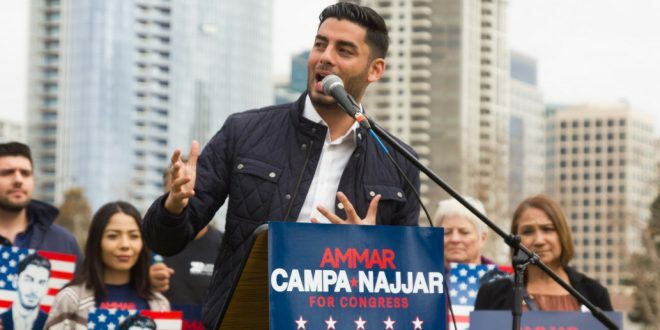 Rep. Duncan Hunter’s lead over Democratic challenger Ammar Campa-Najjar in the 50th Congressional District race has shrunk to just three percentage points, according to a new poll released one week before Election Day. Polls show a majority of Republican voters believe Hunter broke the law, but they’re willing to overlook it to keep someone loyal to President Trump in office. They say if Hunter gets removed or goes to jail, they’ll just vote in another Republican. Hunter was +15 at the time of his arrest.